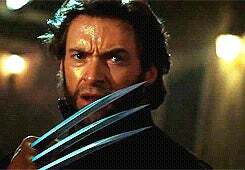 Wolverine, now with more subtext! I made a comment about the fight train clip from Wolverine that Bricken posted on the main site. Sammy Baby added to the nonsense. Sunstroked made every dream I ever had today come true. START FOLLOWING THESE GENIUSES TODAY!